The sleeve gastrectomy is a restrictive procedure that limits the amount of food that a patient can eat before feeling full. It also works by appetite suppression. By removing a segment of the stomach, it significantly lowers the amount of food that patients will be able to eat before feeling full. 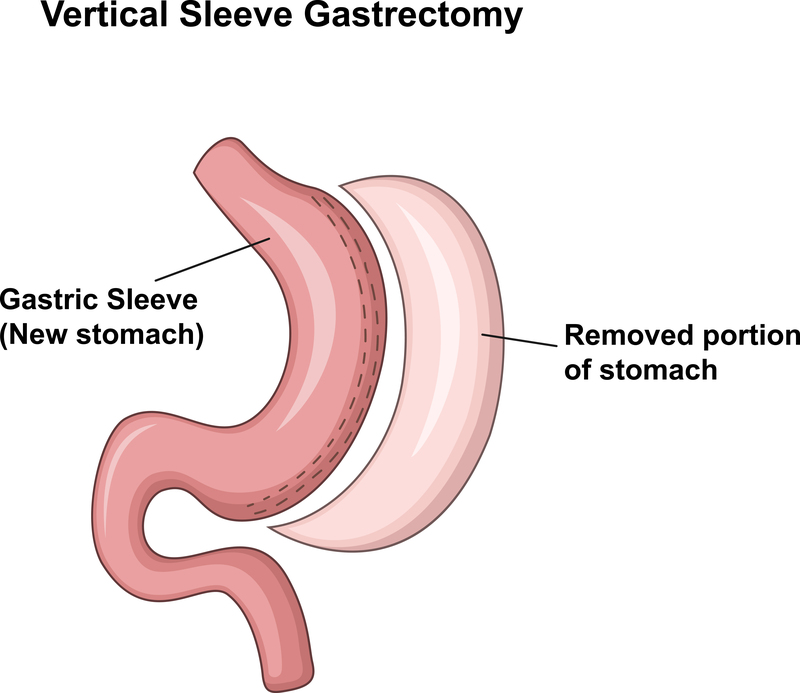 During a sleeve gastrectomy, a thin vertical sleeve is created by using a stapling device. This sleeve will typically hold between 50 and 150 milliliters and is about the size of an banana. This procedure will also remove the fundus, which is a part of the stomach that produces hunger hormones. The combination of restriction and decreased hunger will lead to better weight loss results.